While the Social Democrat Party branches proceed with consultations over the prospects of continuing work in the ruling coalition with the “Farmers”, the latter may already have come to terms with the Electoral Action of Poles in Lithuania – Christian Families Union (LLRA-KŠS). “I could neither confirm, nor deny this,” LLRA-KŠS leader Valdemar Tomashevski told LRT.lt after a Wednesday meeting of Prime Minister Saulius Skvernelis and the “Farmer” management in Seimas. One of the most influential "Farmer" representatives, Seimas vice Speaker Rima Baškienė, was equally reticent, "I can neither deny, nor confirm these argument. Indeed among the LLRA-KŠS [members] there are colleagues who are particularly good intentioned and hardworking, who supported the majority's decisions in many cases. But I've yet to see any agreements." R. Baškienė also explained that apparently a clear Social Democrat, whether they are intent on working in the coalition, will be awaited until next Wednesday. "We keep hearing that we are unacceptable partners for them. When we receive their response, we will consider other (ruling coalition) options. We do not wish to wait for September 20, when the Social Democrats plan to receive their branches' responses over their presence in the coalition because we wish to begin the autumn session responsibly and prepared for serious work and not divorce or some new marriage," R. Baškienė stated. "Farmer" leader Ramūnas Karbauskis assured that no negotiations over a potential coalition with the LLRA-KŠS are proceeding and his party is still working in Seimas based on their coalition agreement with the Social Democrats, "The LLRA-KŠS support us in certain decisions and while the Social Democrats have not withdrawn from the coalition, we are not intent on breaching our agreement with them." "We aren't horses, there's no need to urge us on. 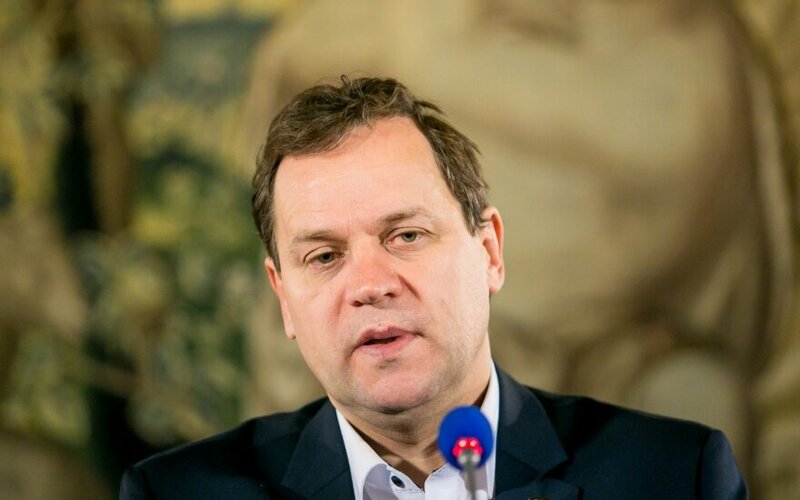 Ultimatums are also unacceptable for us," Social Democrat leader Gintautas Paluckas rebuked "Farmer" urging to make decisions as soon as possible. He is intent on waiting for the party branches to express their opinion first. According to G. Paluckas, the budget project and tax amendment projects will reach Seimas no earlier than late September, thus he views the "Farmer" demands to present answers over the coalition's future with scepticism, "We are proceeding with discussions within our party and Seimas group and that is normal. But when a decision over our participation in the coalition with the "Farmers" is made, it will be binding for everyone." How would the Conservatives act if the "Farmers" lured in the LLRA-KŠS into the ruling coalition instead of the Social Democrats. Comments from Conservative leader Gabrielius Landsbergis were unavailable, but talks in Seimas couloirs suggest that he is sceptical of participating in a coalition with the "Farmers". According to one influential Social Democrat, supposedly the Conservatives are uninclined to enter power due to their rising ratings and the current opportunities from the "Farmers" for political barter to accomplish their projects. Proof of this is the recent agreement with the "Farmers" over support for Forest Law amendments, in return having the VAT exemption on heating returned.